At The Opus Group, the safety of our associates and the general public is a top priority. 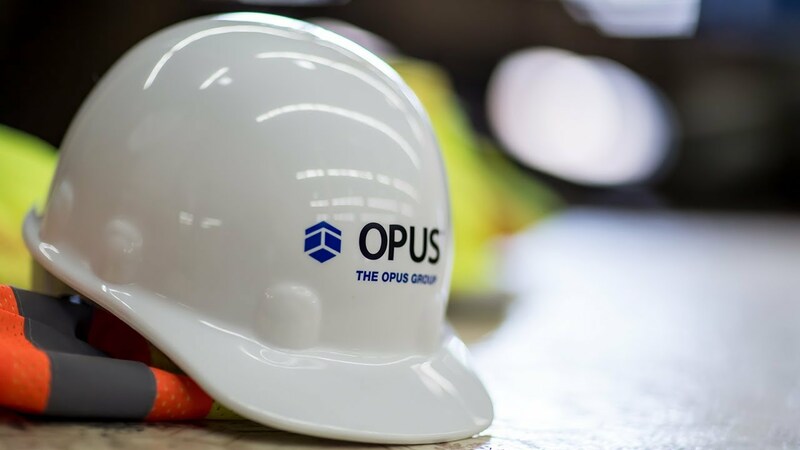 Our award-winning safety programs are intended to help ensure that Opus associates at job sites understand safe work practices and superintendents receive OSHA certified safety training. Safety is an important part of Opus' culture and is a key component of our everyday operations. Job site safety is dynamic and we strive to look for ways to make our job sites safer. When constructing high-rise buildings like 365 Nicollet, a 30-story luxury multifamily building in downtown Minneapolis, associates are working at heights, which increases the potential for incidents caused by falling objects. For instance, tools can slip out of hands and fall, which may cause potential safety issues for associates and the general public, as well as lost productivity and damaged tools. Tool tethering technologies protect workers and the general public from the potential dangers of unsecured tools without hindering productivity. They are designed to secure a wide range of tools, from hammers and pry bars, to hard hats and knives. Several tethering options were tested and evaluated for security, function and durability, and then integrated the best technologies into the tool program. Opus associates working at heights use lanyards that tether tools to their work belts or harnesses, creating a more secure and safe work environment by preventing potentially hazardous tool dropping incidents. Looking to new ideas for construction practices at jobsites can help to keep workers and the general public safer. The contributions of our skilled construction team are essential to our mission of exceeding client’s expectations and empowering their missions through the buildings we deliver. With our safety program, Safety First, we continually evaluate and enhance safety at our job sites. Read more about our commitment to safety here. At Opus, the safety of our associates and the general public is a priority on all of our projects. Promoting a safe work environment is an important part of our corporate culture. Learn more.